Learn all about whats going down the first week of October in Barcelona. 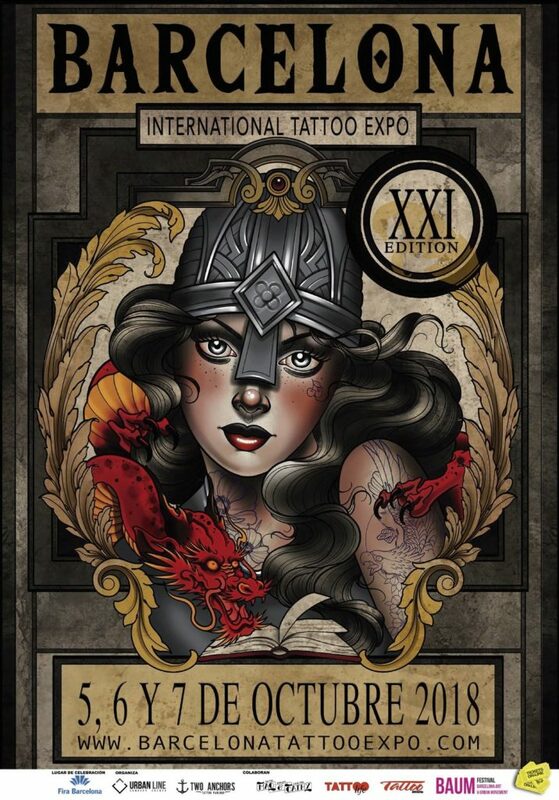 Here´s the chance to get some ink by some of the best tattoo artist in the world. A festival dedicated to urban culture covering tattoo, custom bike & car shows and extreme sports. Barcelona 5th, 6th & 7th of October 2018. Poster designed by Debora Cherrys.